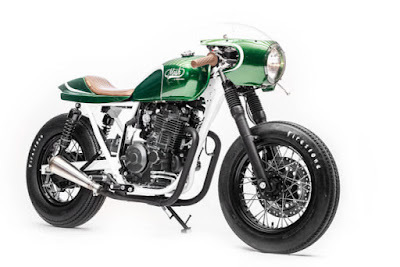 A Bilthoven-based workshop presented a Mash Motors motorcycle with a café racer style which is different from most. 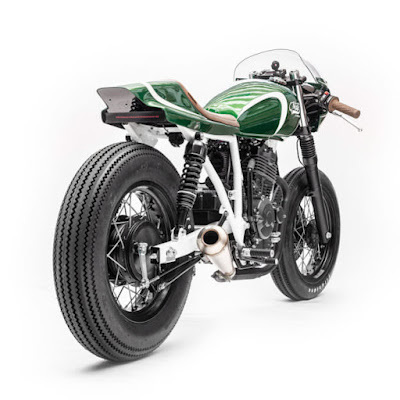 Some parts are embedded is the result of mixing of various styles in the world of motorcycle modification. 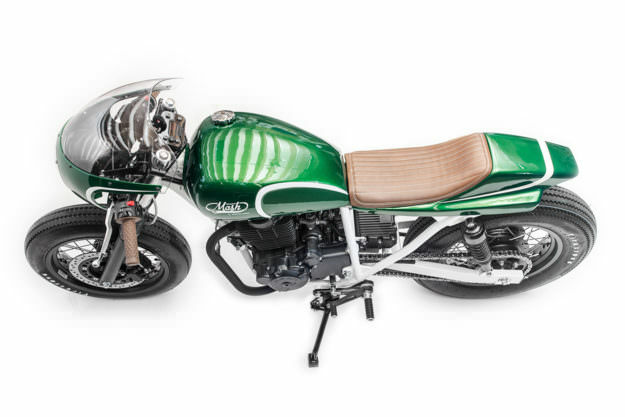 This café racer motorcycle was the result of the touches of Dutchman modifiers of the Wrench Kings named similar to the Marvel’s comic book character 'Green Goblin' has the unique sides and different. The combination embedded of various part models which make it has an attractive looks. From the front, its rounded headlamp cover with a touch of custom bagger style but still maintain its café racer impression. This section is combined with the rounded handles with a classic touch of light brown and harmonized with the motorbike's seat. From the top, this custom motorcycle also looks slim. The section of custom fuel tank made with a retro model which combined with its stern that resembles a hornet tail which is the hallmark of café racer style, but with the addition of the bulge on the left and right sides. After finished with the body part and left the chassis and engine were opened, to add value to its own details. To the side of the wheel, by using the spoke wheel models and wrapped with two Firestone distinctive retro tires.